UITM is committed to driving the global future of higher education by offering 6 undergraduate (bachelor’s degree) and 3 postgraduate (master’s degree) courses. The UITM offers a truly cosmopolitan atmosphere for students from, i.a. Azerbaijan, Belarus, Bangladesh, China, Egypt, Finland, Gambia, Germany, Greece, India, Iran, Italy, Kazakhstan, Kyrgyzstan, Malaysia, Morocco, Nigeria, Pakistan, Portugal, Russia, Rwanda, Spain, Syria, Turkey, Tajikistan, UAE, Ukraine, USA, Uzbekistan, Zimbabwe. 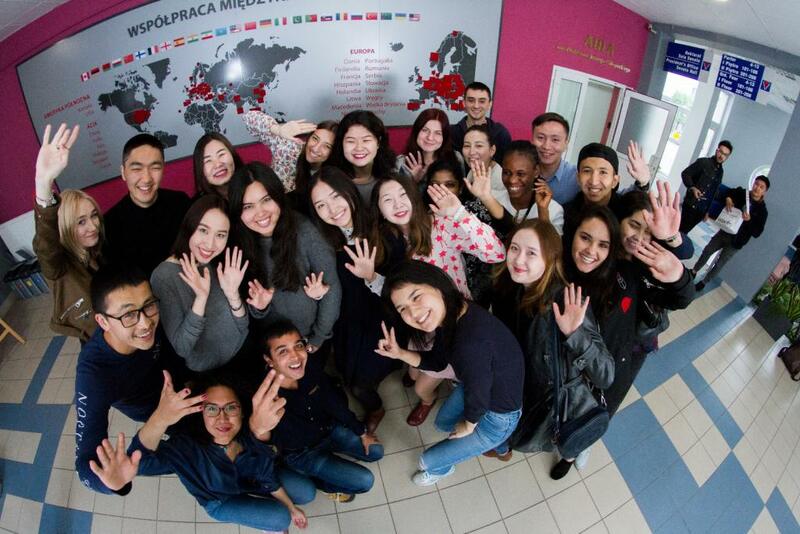 International Student Support Office is a team created to help non-Polish students studying in English at University of Information Technology and Management. We provide support and advice, but we also organize welcome activities and a set of events throughout the year. To help students to adapt in Poland, we run Adaptation Clinic. You can visit us on Monday, Tuesday and Wednesday in RA 107. It does not matter if you are homesick, going throughout cultural shock or feel misunderstood, we will do our best to help you. We are also responsible for Buddy program, which provides peer-to-peer help to our students. Our team will also help you with housing problems. Finally, we are here to help you with Nostrification process. We are tightly cooperating with Institute for Researches on Civilizations and other UITM’s units to make your studying experience as great as possible. It is also our job to stay in touch with public authorities responsible for your residence in Poland. Additionally, we are in touch with NGOs (i.e. IOM) that help us to provide better support system. The UITM students can achieve two degrees simultaneously: UITM and a partner universities. This offer applies to thirteen universities in the UK. The ECBL Academic Examination Centre. UITM is ranked top according to surveys carried out by Polish leading newspapers and magazines, such as: Home and Market, Wprost, Perspektywy and Rzeczpospolita. Both LCCI IQ and TELC Examination Centres conduct English, German, French and Russian language exams at many levels in the general and specialized language.